The annual Easter egg hunt sponsored by the Pierz Lions Club takes place on Saturday, April 20 at 11 a.m. sharp on the Pioneer Elementary School playgrounds in Pierz. 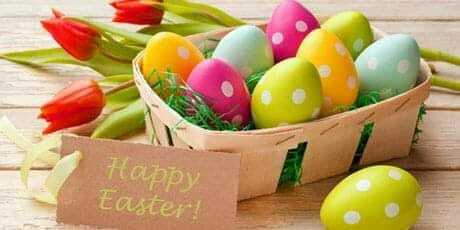 To give everybody a chance to find some of the candy-filled plastic eggs, children will be divided into three age groups: ages 0 – 3, 4 – 6 and 7 – 10. Due to construction, parents are asked to park at the softball fields east of the school, which are accessible from County Road 39. Watch for signs. Members of the Lions Club will be directing children where to go. The Easter Bunny will be making a guest appearance to visit with kids and pose for pictures. Visitors are welcome to bring a camera to capture the moment. Plans are to hold the event outdoors even if it is a little chilly or there is snow on the ground, so dress appropriately. All area families are welcome to join in the fun and celebrate the coming of spring.